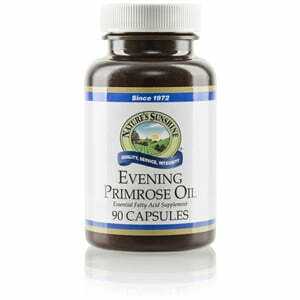 Nature’s Sunshine Evening Primrose Oil promotes optimal health throughout the body. GLA or gamma-linolenic acid, a fatty acid, is found in evening primrose oil and helps the body make prostaglandins to perform essential bodily functions. 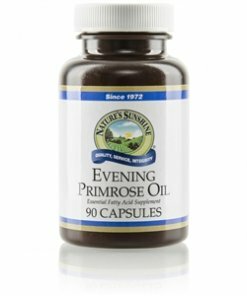 Nature’s Sunshine Evening Primrose Oil contains several essential nutrients in addition to 40 mg of GLA including linoleic acid, oleic oil, palmitic oil, and vitamin E.
Instructions: Take one softgel daily with a meal. Oleic acid, palmitic acid, stearic acid (vegetable), gelatin, glycerin, and water.